Members of the University and College Union have voted ‘Yes’ to nation industrial action consisting of strike action and action short of a strike (ASOS). The ballot result, which was released on Thursday October 10th, indicates that 12,754 members voted in favour of strike action, accounting for 61.5% of the vote, while 15,967 members voted in favour of ASOS, accounting for 77% of the vote. The ballot was instigated in response to successive years of cuts to academics’ pay. 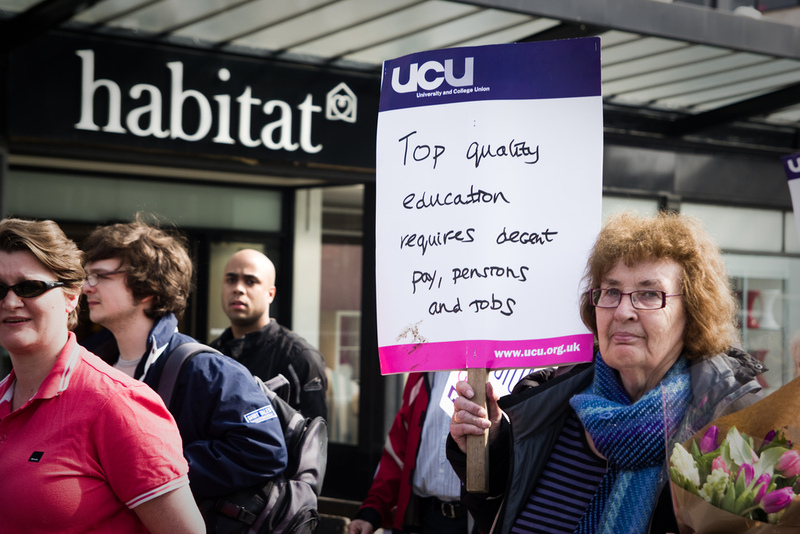 Since 2009, Lancaster University staff have incurred a pay cut to an accumulated value of around 13%, while pension contributions into the Universities Superannuation Scheme (USS) and the Teachers’ Pension Scheme (TPS) have increased. Literature circulated by the UCU has accused Universities of being able to increase academics’ pay, but choosing not to. A briefing document released by the UCU states; “Higher education has undergone rapid change as a result of the Coalition government’s policies. There’s no doubt that universities are under pressure to compete with each other. According to the most recent reported figures from the Higher Education Statistics Agency (HESA), the Higher Education sector has accumulated over £1 billion in operating surpluses, while many institutions have built up cash reserves in recent years. Figures from the same organisation also indicate that in 2011/12, only 55.5% of HE expenditure is committed to staff, compared with 58% in 2001/2. Lancaster University’s current financial standing and wage levels are closely on par with national statistics. Lancaster University has achieved its targets of maintaining a financial surplus of 4% in 16 of the past 17 years. In the financial year 2012/13, Lancaster University outperformed its target by 3.9%, and retained a cash surplus of £15.6m, but payroll costs account for only 57.2% of expenditure, a rate lower than in the 2007/08 financial year. At this stage, the Students’ Union (LUSU) have not established official union policy in support of the strike, but individual Full Time Officers have expressed their support for the strike action. In a statement to SCAN, LUSU President Joel Pullan stressed the importance of fairer pay for university staff. “If we are to remain a highly reputable university with strong research credentials, we must attract and keep the best academics possible, and value them during their employment at Lancaster University. Mr. O’Neill also informed SCAN that he has submitted a motion to LUSU Council supporting the strike and calling for Union policy to officially support the UCU industrial action. The motion will be proposed at the next meeting of Union Council on Thursday 17th October, 6pm, in Management School Lecture Theatre 3. While the body’s membership consists of elected LUSU Officers, any member of LUSU is entitled to attend the meeting as an observer and contribute to discussions. At this time, it is not yet known when the strike action will commence. Legal requirements dictate that action must begin within 4 weeks of the final day of voting. Furthermore, employers must be notified as soon as possible after the outcome of the ballot, and must also be informed of the number, category or workplaces of employees being called upon to take industrial action. As well as the UCU, Unison members have also voted in favour of strike action. The results of the UCU ballot were released to SCAN less than one hour before the print deadline, and as such, we can only offer a brief overview of proceedings at this time. A comprehensive, detailed analysis will appear on the SCAN website (scan.lusu.co.uk) in the very near future.